Netflix is set to reboot The Chronicles of Narnia in a big way. The world's largest streaming service has made yet another huge deal, as they've entered into a multi-year agreement with the C.S. Lewis Company to develop new movies and shows based on the late author's beloved series of novels. There are seven novels in total and this marks the first time in history that one company has held the rights to all seven novels. Ted Sarandos, Chief Content Officer at Netflix, had this to say about it in a statement. "C.S. Lewis' beloved Chronicles of Narnia stories have resonated with generations of readers around the world. Families have fallen in love with characters like Aslan and the entire world of Narnia, and we're thrilled to be their home for years to come." This gives Netflix massive potential for a multi-platform mega-franchise, if executed correctly. Between the seven books, The Lion, the Witch and the Wardrobe, Prince Caspian, The Voyage of the Dawn Treader, The Silver Chair, The Horse and His Boy, The Magician's Nephew, and The Last Battle, there are tons of stories that could be brought to life on screen. Douglas Gresham, stepson of C.S. Lewis, had this to say in a statement. "It is wonderful to know that folks from all over are looking forward to seeing more of Narnia, and that the advances in production and distribution technology have made it possible for us to make Narnian adventures come to life all over the world. Netflix seems to be the very best medium with which to achieve this aim, and I am looking forward to working with them towards this goal." There have been successful adaptations of The Chronicles of Narnia previously, both on the big and small screen. The BBC produced a series of serials in the 1980s, but modern audiences will likely be more familiar with the trilogy of movies released between 2005 and 2010. 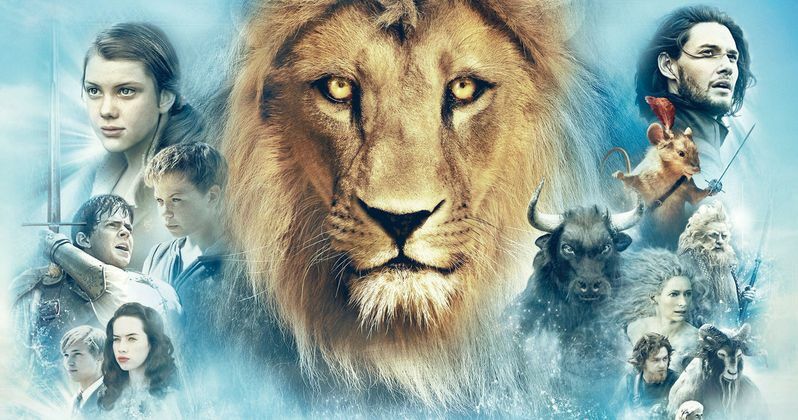 The three movies grossed a combined $1.58 billion worldwide but the first movie, The Lion, the Witch and the Wardrobe was by far the most successful. In any event, that proves there is a big audience for this material, if Netflix can execute it correctly. One interesting wrinkle is that director Joe Johnston was on board to direct an adaptation of The Silver Chair as his final movie. It seems more than likely this new Netflix deal will affect the status of that project. Will Netflix court Johnston to bring the project over to their streaming service? Or will it just be scrapped altogether? Netflix is currently investing more than any other studio on content right now and they're gunning for big franchises that will help attract more and more subscribers. Especially as Disney gets ready to launch their streaming service next year. The new Narnia movies and shows will be Netflix productions, with Mark Gordon of Entertainment eOne, alongside Douglas Gresham and Vincent Sieber, on board as executive producers. There is no word yet on when Netflix will get the first of these projects in production, but we'll be sure to keep you updated on that front.